The chess king is the most important piece in the chess game. The ultimate goal in chess is to checkmate him. 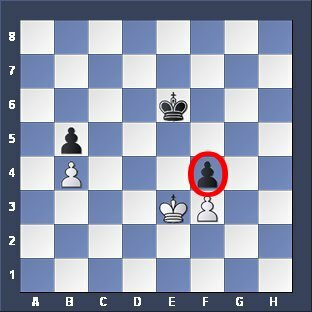 When you make a move that threatens the king of your opponent with capture, he is called to be in check. Check is, when one or more pieces could THEORETICALLY capture the king. It is not allowed to capture him, of course. Without king the game cannot be played. For that reason it doesn't make sense to assign a value to him in relation to the other chess pieces. The king can become a strong attacker in the endgame where he has slightly more power than a bishop or a knight. In a chess game if your king is in check, you must make a move to eliminate the check. You can't move something else. 1.Move him to a square where he is not attacked. 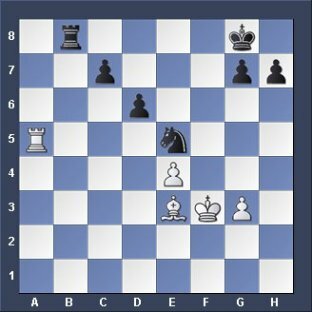 2.Capture the attacking piece with the king or another piece. 3.Place a piece between him and the attacking piece. If the attacking piece is a knight you can't put anything in between. You can't move your king beside another king because each king is controlling the 8 squares around him. A king can't give check to another king. A king can also capture a queen if the queen is not protected. In chess double checks are very dangerous. When there is a double check (two pieces attacking the king) you must move him to get out of the check. In this case there is no other possibilty. Keep in mind that the king can move ONE square only. In a chess game make sure to castle early, to bring him into safety and avoid to weaken his position in making unnecessary pawn moves in his neighbourhood. Never leave him unprotected as enemy pieces can easily attack him. Make sure you can retreat with some of your forces to protect him, if necessary. 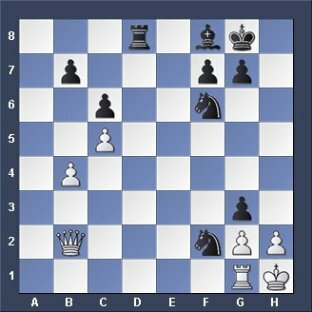 You must think ahead and foresee if an attack is heading towards your kingside and protect the king on time. The K attacks the Rook. Black CANNOT recapture so the K CAN take the rook. The queen is attacking the king. 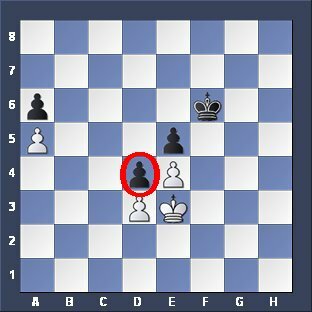 He can't take the queen because the bishop CAN recapture so he must move to g3. The king can take the queen because Black CANNOT recapture. The K attacks the knight. If he takes the knight Black CANNOT recapture. So he CAN take the knight. The king attacks the pawn. If he takes the pawn Black CANNOT recapture. That's why it is possible to take the pawn. The K is attacked by the bishop. 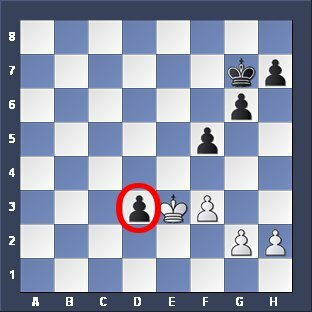 The king CANNOT take the bishop as he can move only ONE square. He must move out of the attack OR put another piece or pawn in between. White can put the f-pawn in between and so he moves him to f3 to block the check. 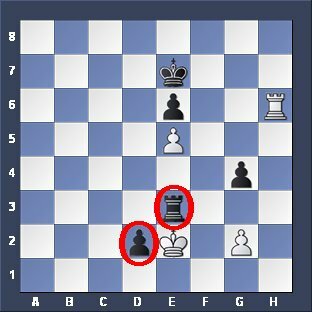 The king attacks the queen but black CAN recapture so the K must move somewhere else, to g3. (one square only) Here he attacks the rook and the pawn. 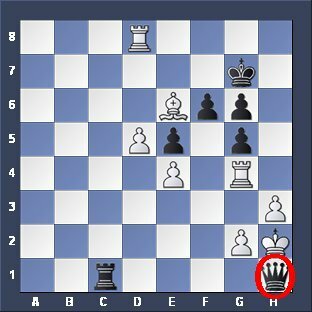 If the king takes the rook black CANNOT recapture. If he takes the Pawn black CANNOT recapture as well. So the king CAN take the rook OR the pawn. You must make a decision what to take here. If you take the rook then the pawn will move to the first rank and transforms into a queen. It is necessary to take the pawn. 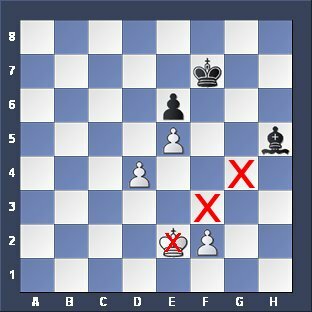 The K attacks the pawn, black CAN recapture with the pawn on e5. For that reason it is not allowed to take the pawn. The K attacks the pawn. If the K takes the pawn, black CANNOT recapture. So the king CAN take the pawn. The Knight gives check to the King. The Rook CAN destroy the Knight BUT you will lose the Rook because the Knight is protected by the Pawn. Your Rook has more value than the Knight. For that reason it is better to move away with your King. The Knight checks the King and you dont like to kill the Knight with your Queen as you will lose your Queen as the Knight is protected by the pawn. BUT the King cannot move away so you have to give your Queen for the Knight. After that Black has overwhelmimg material and will win sooner or later. Better is you resign right away.